Dimensions (H/W/D, w/o handle and sample inlets) 890/782/400 mm35/30.8/15.8 in. The airpointer is delivered in an unobtrusive design and can therefore blend in with its surroundings. By designing the front of the airpointer as you like you can purposely make it conspicuous or use it as advertising space. The airpointer has been developed by experts with field experience with special emphasis placed on data quality assurance. recordum quality management is certified for research, development and production in accordance to ISO 9001:2008 standards. 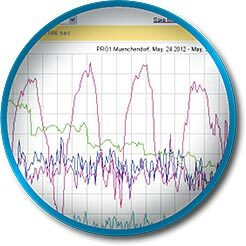 Only a minimum amount of maintenance is necessary to continuously guarantee the quality of the measurement data. The filter, absorbent and zero air cartridge should be checked regularly while the device is operating. The modules and electronics must be checked once a year. The airpointer is equipped with a large number of functions for controlling and maintaining operation, which are easy to use, clearly displayed, and quickly implemented. A span gas port in the maintenance door is provided for calibrating the airpointer with external span gas. The user does not have to open the front door thus leaving the temperature inside unaltered. The airpointer is calibrated using a graphic interface in the user menu, which displays the parameters to be calibrated in a concentration-time-diagram. Thus the user may evaluate stability of both measurement signal and span gas concentration. After calibration, the airpointer displays a message indicating whether or not the calibration was successful. The calibration data are saved and can be retrieved at any time. A user network connection (RJ45) located behind the maintenance door is provided for local operation and monitoring of all device functions. 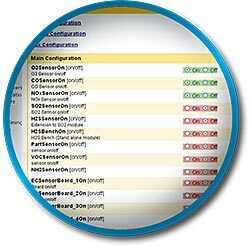 Extensive diagnostic functions included in the software are used to continuously monitor all key operating parameters and save them once a minute in the system data base for preventive fault detection and tracking the effect of faults on measurement data. A separate program (watchdog) additionally controls correct operation and automatically repairs any faults that may occur. Changes of site, calibrations, faults and their remedies etc. can be entered in an electronic station logbook. You may further increase data security by using an automatic backup with the recordum portal independent of the airpointer. Each airpointer features internal zero air generation for automatic or manual zero point check of each module. You may individually select a zero point check or an automatic adjustment. 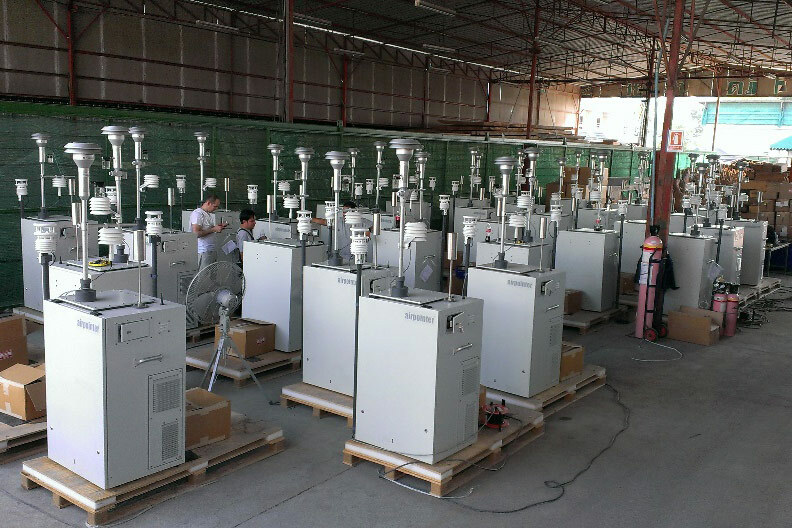 You may optionally check all gas ambient air analyzer modules individually using internal span gas generation and the following methods. 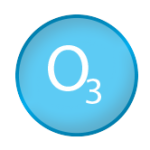 An ozone generator generates a constant sample flow of ozone using a UV lamp. cylinder and an internal dilution system. A permeation tube contains the condensed airborne pollutant in liquid form and releases it at a constant high temperature (ensured by a controlled oven) via a membrane. 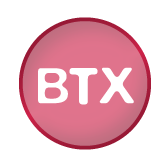 The user may track at all times the results of the internal operational test that are saved in the airpointer database. The filter holder is also located in the vicinity of the maintenance door. The filter holder features a glass plate to check the cleanliness of the filter and if it is properly seated. An optional extended lifetime filter with a greater volume extends the intervals between filter changes. Zero air supply and regular span point check are part of the implemented principle whereas zero and span point check may be carried out automatically on a daily basis. Setup is used for settings in general. Here you may enable or disable the various modules and change units such as ppb and µg/m³. One to six parameters are displayed in a clearly arranged graphic. Zoom function allows for detailed viewing. Reports may be defined and automatically created. The results are converted to pdf or xls files. 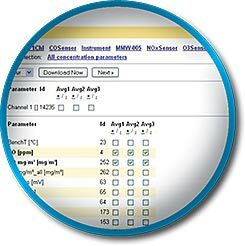 All parameters can be downloaded easily and quickly to your PC. You may configure the default selection of parameters and use Excel for further processing for example. 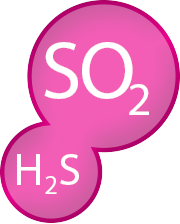 Ambient air quality with regard to health-harming substances also has to be considered on a small scale, because local microclimatic conditions may create an air quality considerably differing from a large-scale approach. 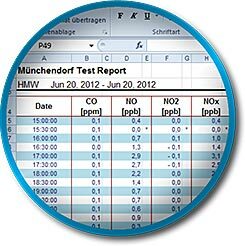 Health hazards caused by a momentary pollutant concentration increase indicate the necessity of point of interest monitoring. 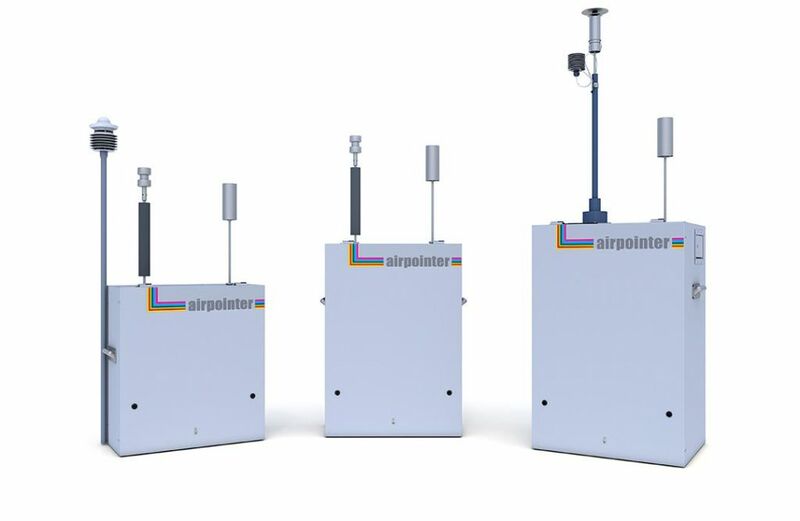 The airpointer is the ideal tool for monitoring combustion process gases and volatile emissions. 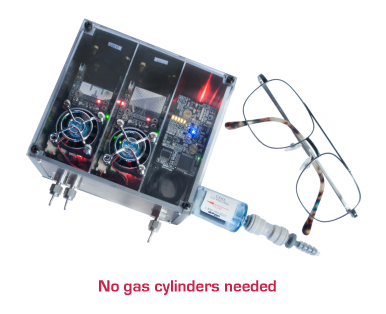 Because of its high flexibility, the airpointer is the ideal tool for monitoring CO, O3, H2S, SO2, NO/NO2/NOX and PM. 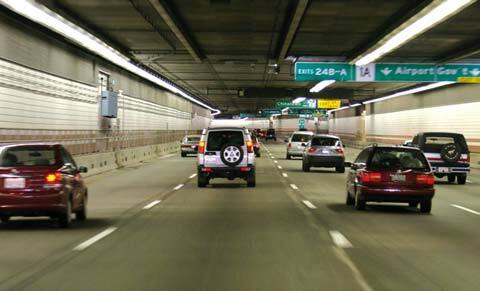 The traffic data sensor is one of many add-on sensors, which may be added quickly and simply. 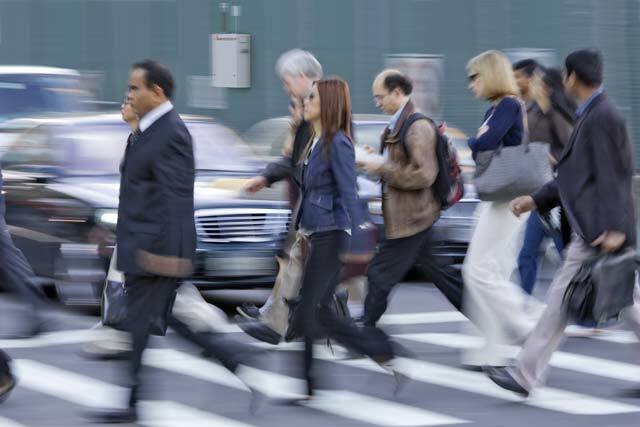 It enables measuring the number of vehicles and their average speed. 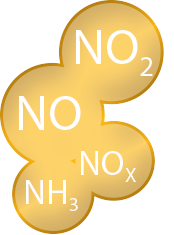 Resulting data may be recorded and clearly displayed, for example in combination with nitrogen oxide and PM data. 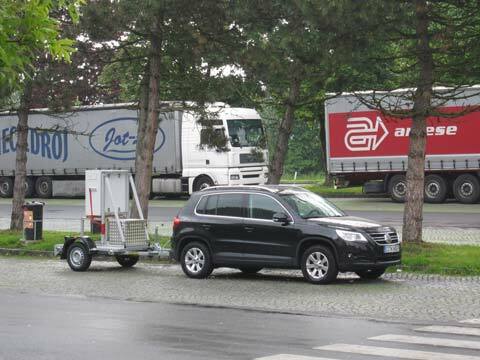 Road traffic-related monitoring with the airpointer. 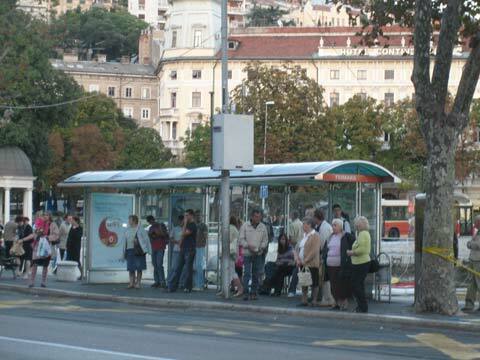 Data may be used as control signals for a traffic management system. The airpointer measures areas where people frequently stay and poor air quality affects the health of the individual. 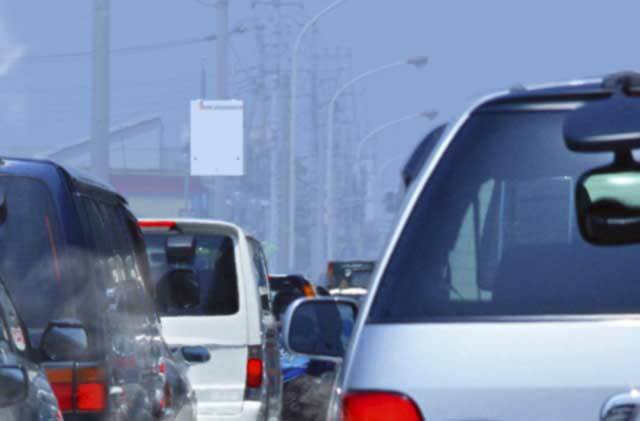 Mainly highly frequented places as shopping street, traffic junctions or parks and sports grounds with an intense traffic-related air pollution require reliable measurement data because thresholds will often be exceeded. 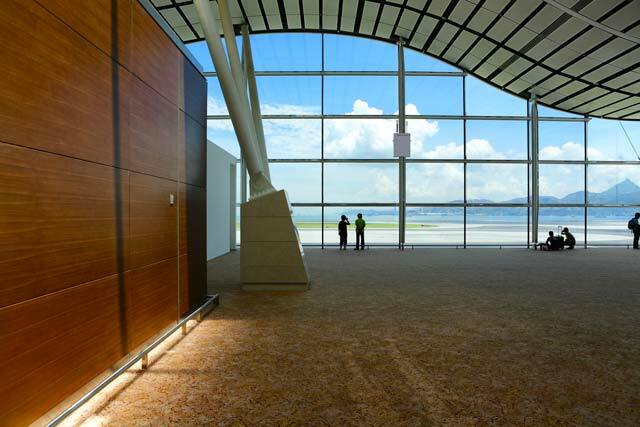 People spend more than 80% of their time indoors. Frequently, indoor air quality is not better than outdoors. 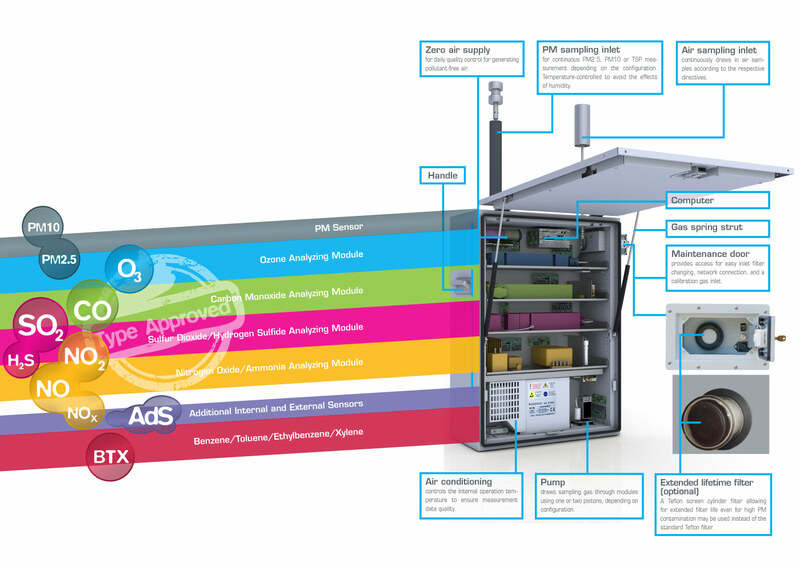 Therefore, continuous indoor air quality monitoring is essential considering that the health of young or elderly people or people in poor health above all suffers rapidly under poor indoor air conditions. 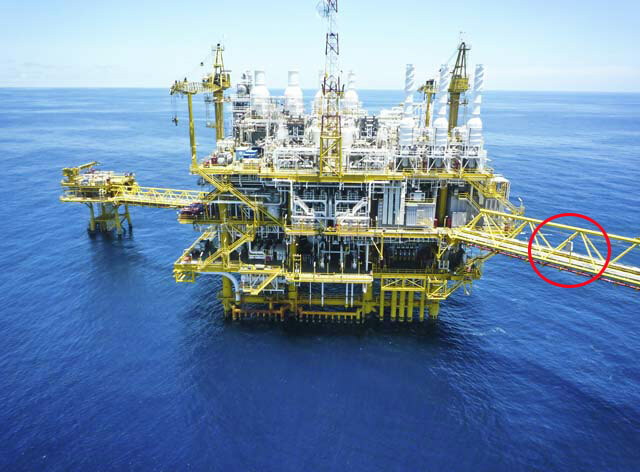 The airpointer provides reliable measurement data at highly frequented locations. 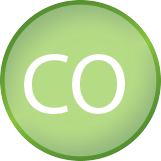 Air quality monitoring at schools, public buildings, shopping malls, and airports (Indoor Air Quality / IAQ). 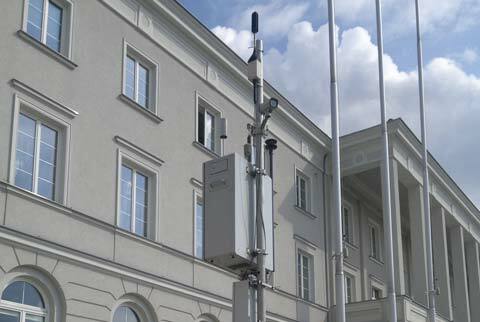 Mobile operation – It is often necessary to measure briefly at different sites. The compact design of the airpointer makes it the ideal tool for mobile operation. The airpointer ensures flexible air monitoring while using the required reference measurement methods. 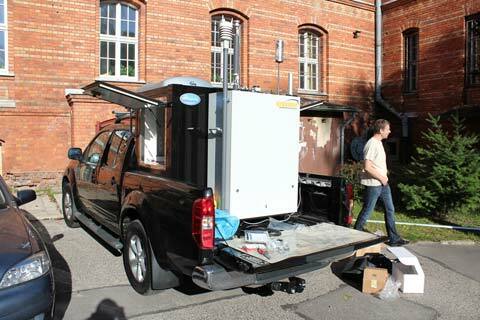 The airpointer can be quickly transported by car or trailer to the measurement site where it is needed. The airpointer is typically mounted on a pole (or a wall if necessary). Permanent installation is necessary when continuous monitoring over an extended period is required. 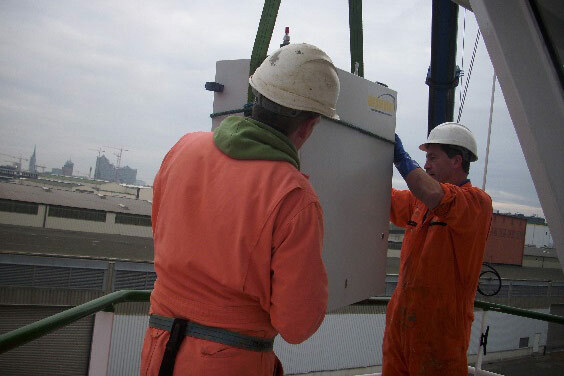 The airpointer is lifted to the designated position with a crane and mounted with appropriate mounting brackets. It can be relocated within a minimal amount of time. 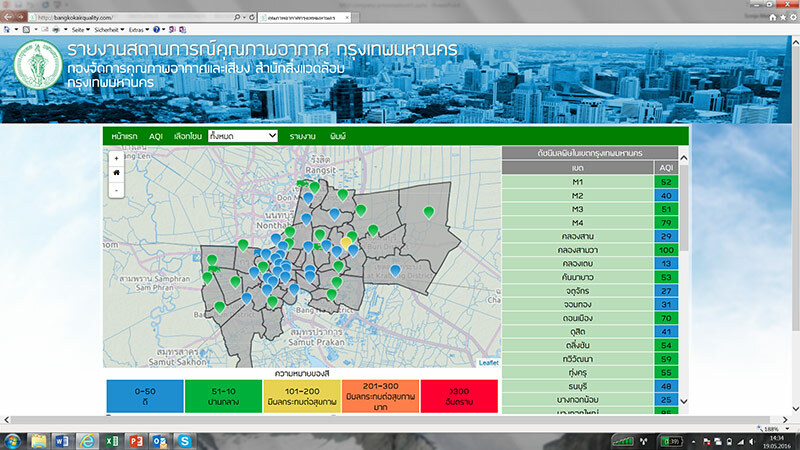 The Bangkok Metropolitan Administration (BMA) selected compact monitoring system airpointer® for their network monitoring the air pollution caused by traffic. 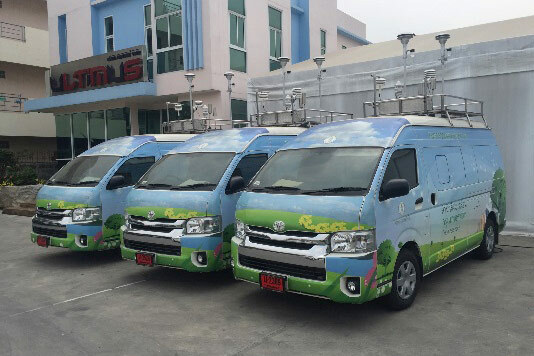 mlu-recordum installed 54 airpointer® (thereof 8 mobile stations) in the city of Bangkok, jointly with our local partners for system integration, operation and services. 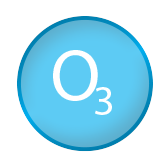 The systems are equipped with analyzers for Nitrogen Oxides (NOx), Carbon Monoxide (CO), Ozone (O3) as well as Particulate Matter (PM10 and PM2.5).